popcorn + drinks will be served! Co-sponsored by: Seeding Change, Coleman Advocates for Children & Youth and POV. 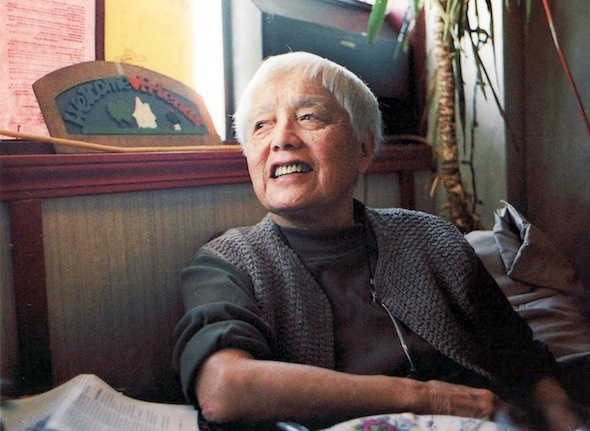 From grassroots organizing and urban rebellion in Detroit to theoretical writing and political debate inside and outside the academy, 99 year-old Grace Lee Boggs evolved as an influential Chinese American philosopher and activist alongside the emergence of US labor, black power and civil rights movements. This powerful film reveals her unrelenting willingness to re-evaluate movement tactics in relation to constantly shifting conditions and her passionate wisdom about what is needed today. Watch the trailer here. Suggested donation: $5-25 :: No one turned away for lack of funds. Come out for all three screenings!